Julie Rose Sews: on the needles: busy bee blanket! I mentioned on Monday that I had a fun new knitting project-- and here it is! I've started the beekeeper's quilt! 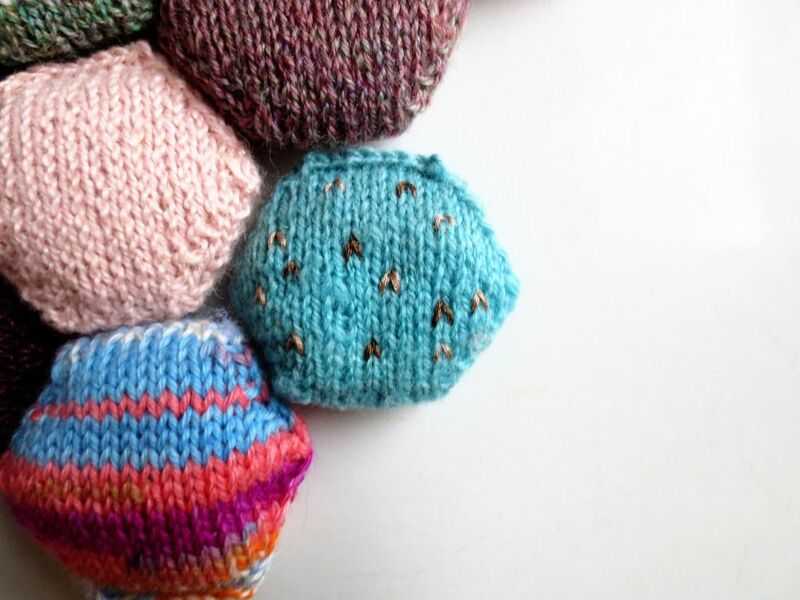 It's a blanket made of lots of little hexagonal puffs (affectionately known as hexipuffs!). 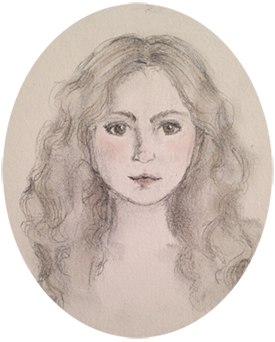 Here's one of my favorites-- a little cottage puff! And here's my speckled egg puff. 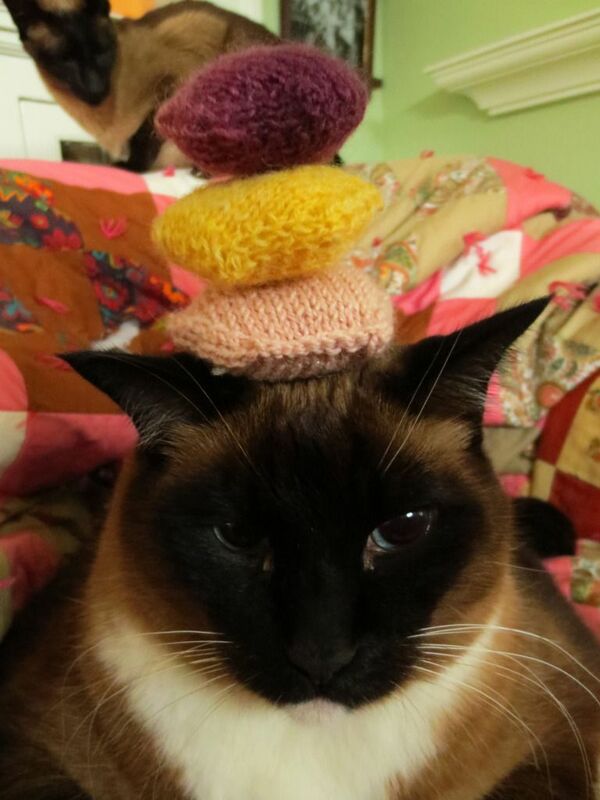 And sometimes Bucky tolerates having them balanced on his head. I'm up to 23 hexipuffs after a week of alternating them with working on my Moonpie Shawl. The shawl is now finished, so until I cast on something else (maybe a sweater from Little Red in the City? ), I'll be knitting away on these little guys full time! I'm going to hide little treasures sewn among the hexipuffs, too-- little antique keys I've collected, sparkly beads, a vintage subway token, and whatever other little bits and pieces I find! Eeeeeep I'm so excited about it! This is going to be a long-term project, so I'll have lots of time to accumulate pretty things to put in. Also, if you're knitting your own beekeeper's quilt, I'd love to trade mini-skeins of sock-weight yarn! Just leave a comment or send me an email at julie@julierosesews.com. I haven't seen a lot of Beekeeper's quilts around lately, and I think that is such a shame. 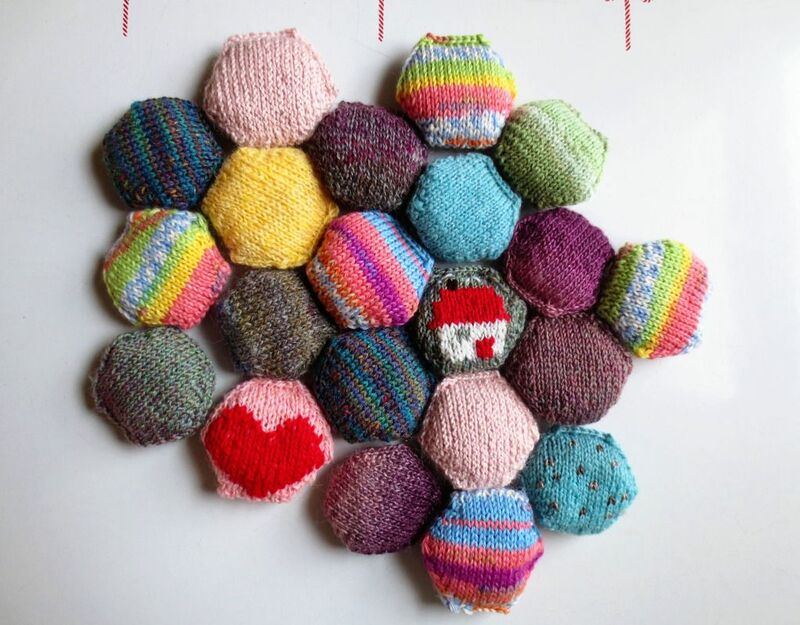 Each hexipuff turns out so unique and wonderful, I enjoy seeing them. Yours are especially pretty, I love the speckled egg one! And my do you have a tolerant kitty, mine would never put up with that, she would try to eat me. Thank you so much for your kind words! 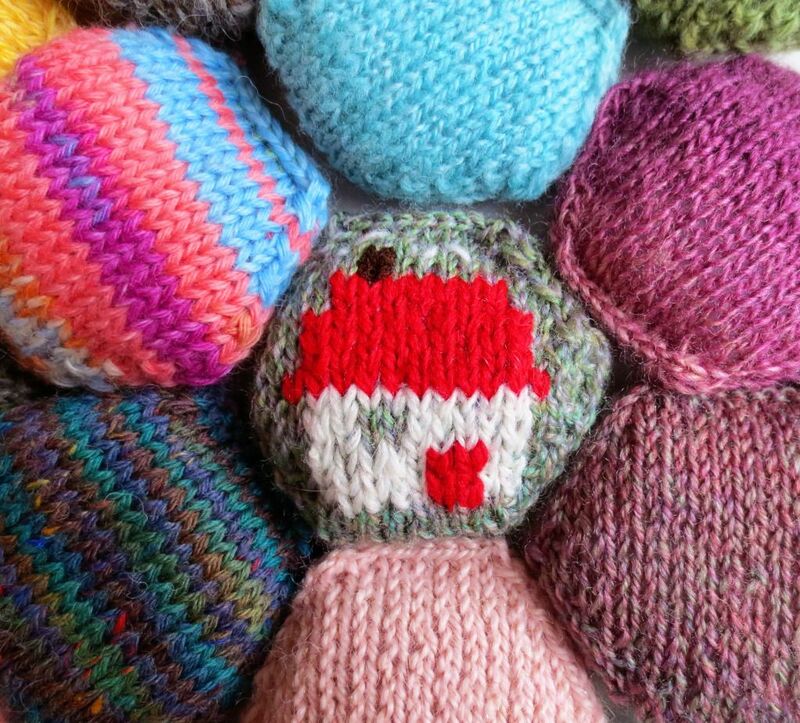 Hexipuffs are so. darn. addictive. I've knit twelve in the past three days. It's out of control. And Bucky put up with that for about three more seconds before maintaining eye contact with me as he tipped his head forward and sent the hexipuffs tumbling. I'm hoping I can find new ways to get him to put up with it. Happy November!